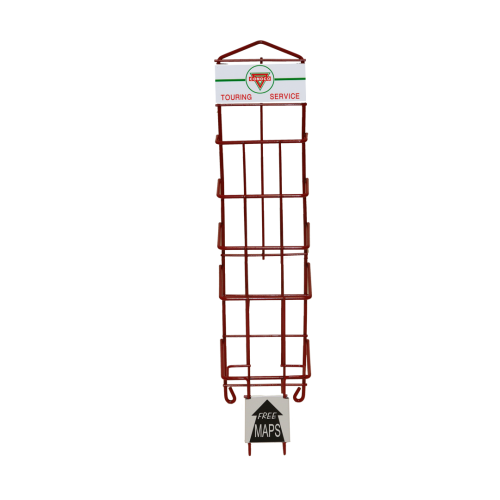 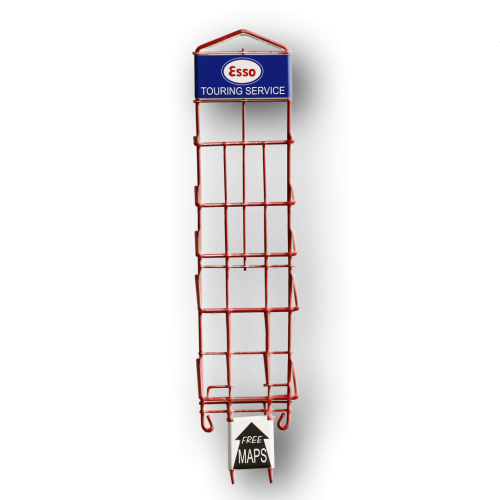 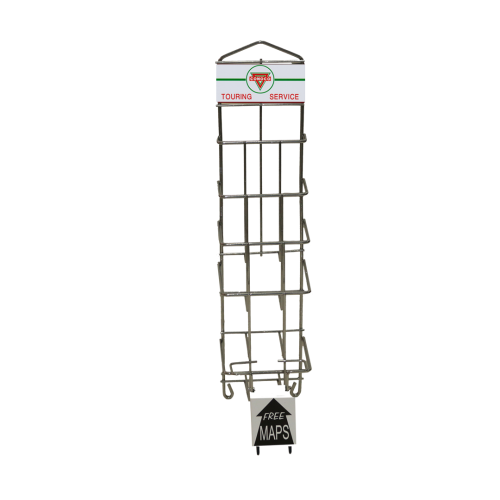 Our mini oil can racks are 10″ wide by 12″ tall. 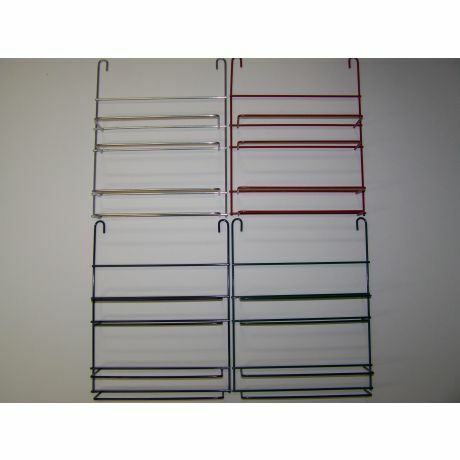 They contain eight, 1 Pint Oil Can Banks. 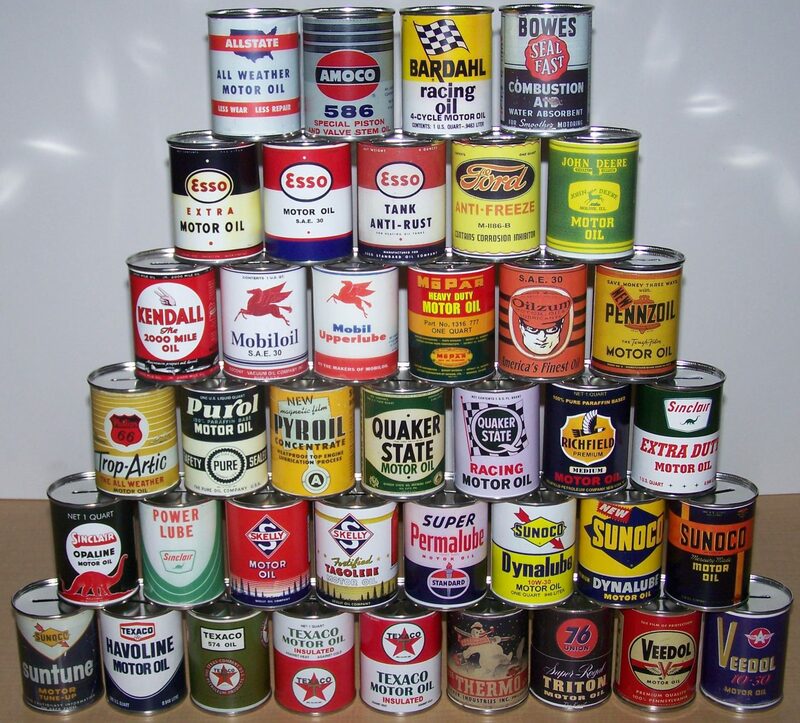 Cans measure 2 3/4 inches . Cans are a copy of original cans given as gas station giveaways from the 1950’s to save coins. 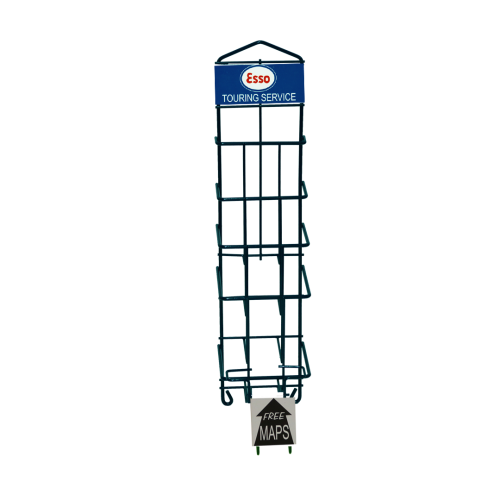 Price includes rack and 8 cans of your choice from the pyramid shown below.